Editor’s note: Passion Projects is a new Keyword series highlighting Googlers with unexpected interests outside the office. 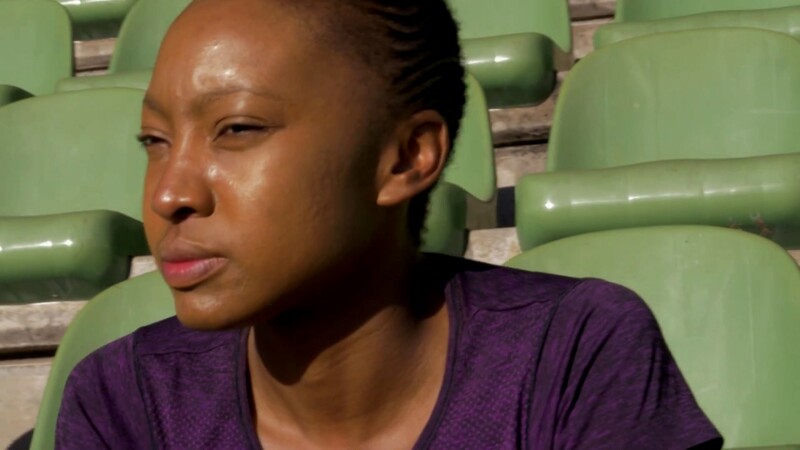 If you had asked Zanele Hlatshwayo several years ago if she’d ever go on a run for 10 days straight, she’d probably laugh. But these days, that’s exactly what she’s training for—and she changed her mind about running for a deeply personal reason. Zanele, an ad sales specialist based in Google’s Johannesburg office, turned to running to cope after a tragedy in her family. In 2010, her father committed suicide, and she needed to find a way to deal with her grief. She already went to the gym to work out, but one day she decided to check out the running track there, and that changed everything. Even though she used to hate running, the sport became a crucial outlet for her. Pushing through the pain of a long run taught her she could overcome anything. “I got tired of feeling sorry for myself and crying and trying to make sense of the reason why he actually committed suicide,” she says. “Running became my sacred space, so to speak, a space where I could really clear my mind.” She started to run races with a few former colleagues, and she was hooked. Inspired by her father’s legacy, and also by a friend who was going through depression, Zanele decided to start a campaign called Rise 18 last year. In 2018, she ran 18 races to raise money for a suicide prevention help line, the only one of its kind in South Africa. The longest, and final, race of Rise 18 was 100 miles long, and took 26 hours to complete. She showed up to the race injured from her previous long-distance runs, and never stopped to sleep the entire race, but she was still determined to finish. For her, the race was mental, not just physical. Zanele running the Washie 100 Miler ultramarathon. An experience like that makes you realize how powerful the human mind and the human body is. But her biggest challenge is still ahead of her: a 10-day run from Johannesburg to Cape Town this May. She’ll travel with a group of 12, who will take day or night shifts on the road, for the Ocal Global Journey for Change. And through it all, she’ll have her larger mission in mind: The group is raising funds to help provide wheelchairs to children with disabilities. If you or someone you know needs help, you can contact the National Suicide Prevention Lifeline in the U.S. at 1-800-273-TALK(8255), or, in South Africa, the South African Depression and Anxiety Group’s Suicide Crisis Line at 0800 567 567.